Relson Gracie, the 2nd oldest son of Helio Gracie, moved to Hawaii in 1988. 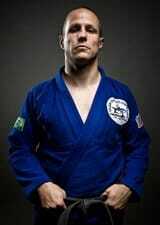 He began learning jiu-jitsu at 2 and entered his first competition at the age of 10. He was the Brazilian National Champion for 22 years straight, and during this period went undefeated. He became so popular that he attained the nickname “Campeao” or “Champion” among his friends and fans. Upon his arrival to Honolulu, it was with great pleasure that Relson introduced the art of Gracie Jiu-jitsu to the Aloha State. Relson along with his brothers Rorion, Rickson, Royler, and Rolker help prepare their younger brother Royce for the first several Ultimate Fighting Championships. This no-holds-barred competition was formed by Rorion Gracie to showcase the brilliant fighting and self-defense style of Gracie jiu-jitsu to the world. What had already been developed and tested in real life competition and fighting since the 1920’s in Brazil has now changed main stream martial arts in the U.S. and the rest of the world forever. Relson Gracie in his early years was known for his many street fights and the brutal and unpredictable style in which he engaged those fights. 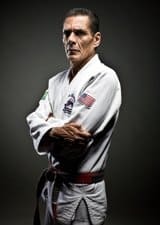 Now many years retired from competition Relson’s philosophy reflects his father’s, which is to train for self defense and personal advancement. Relson currently hold the rank of 8th degree red and black belt under Helio Gracie. Relson enjoys teaching classes in Hawaii and has become quite fond of the island life. Relson travels to FightWorks regularly to conduct group seminars, demonstrations and private classes.